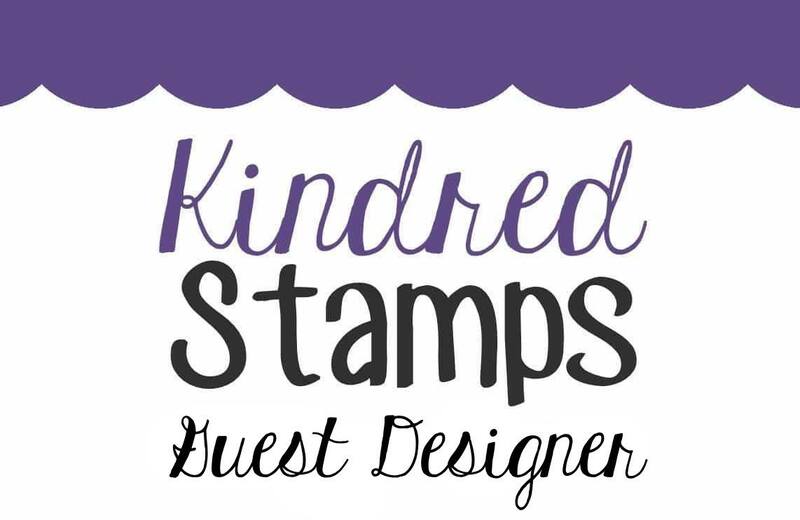 The Inspiration Challenge on Splitcoaststampers is my favorite one of the week. For today's inspiration site, Audrie chose her Favorite Candles Pinterest Board. What wonderful choices we had for inspiration -- so much so that I actually made two projects -- one card and one tag. 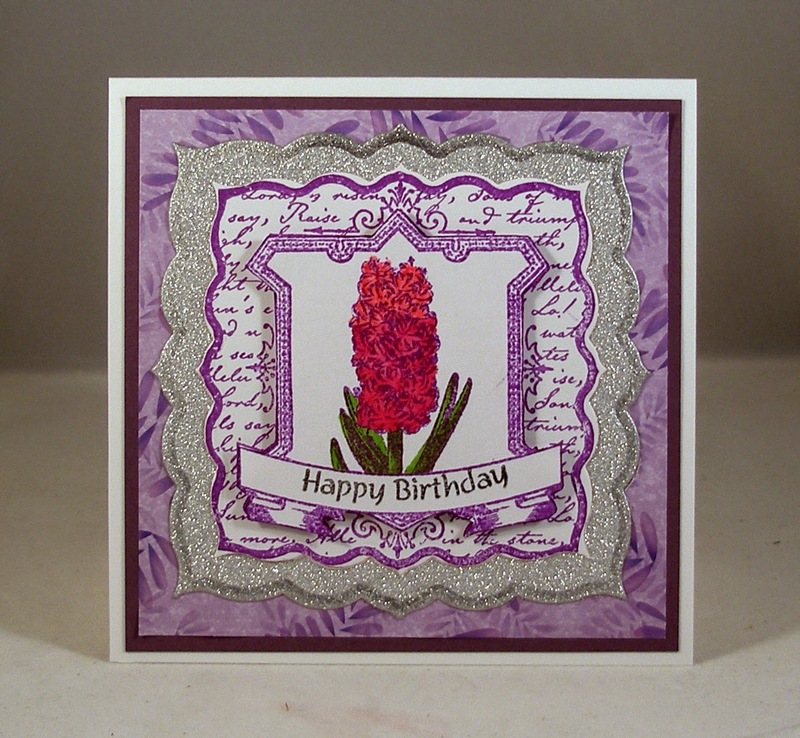 For my card, I chose this gorgeous candle which reminded me of hyacinths, so I used my new ODBD Hyacinth set to create a birthday card in the colors on the candle. I stamped the image twice and cut out the center frame, which I popped up on foam dots. 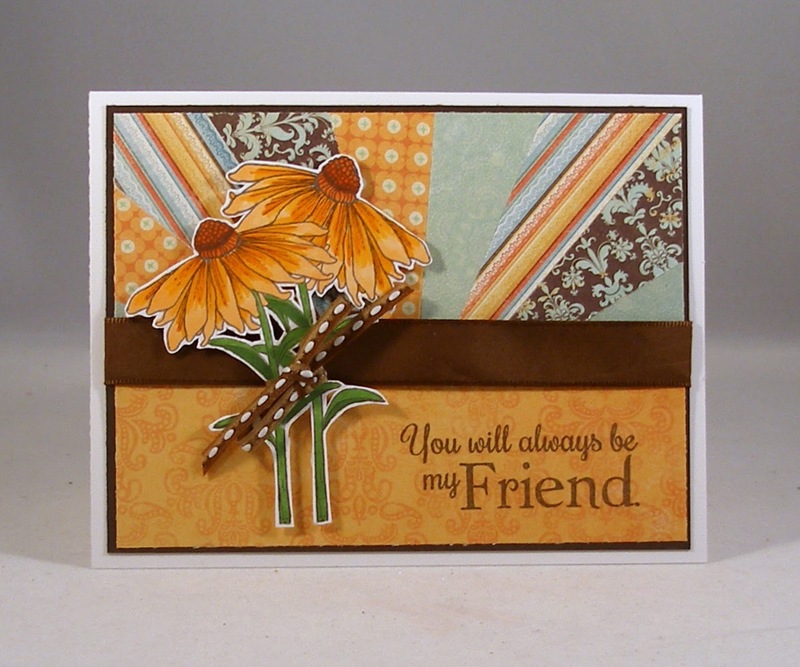 I am entering this card in the Our Daily Bread Designs Anything Goes challenge. 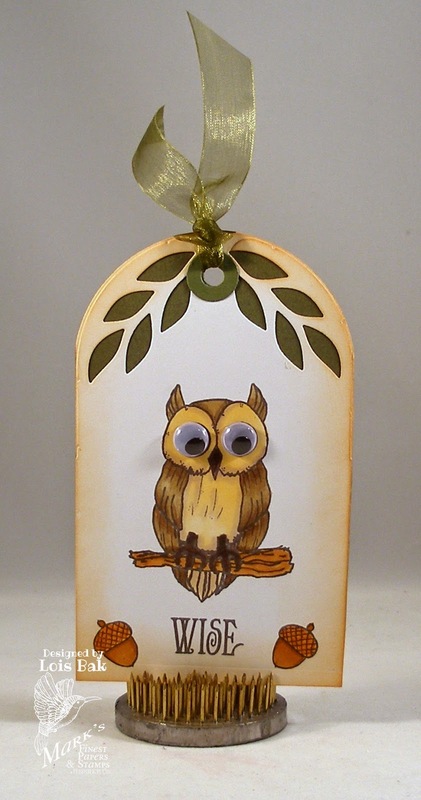 For my tag, I chose these owl candles and used a new Elizabeth Craft Designs tag die called Tags & More 3 - Leaves. I cut the tag out twice, once in dark green and once in white. For the white one, I also used the leaves die at the top. I love using googlie eyes on my owls. It makes them look wiser, don't you think? We're doing something different to start out the new year. We're looking back at all the wonderful sets released in 2014. For the 4 days of the Blog Hop the Design Team will show you their "Favorite" sets of 2014. Please visit each blog and leave a comment. 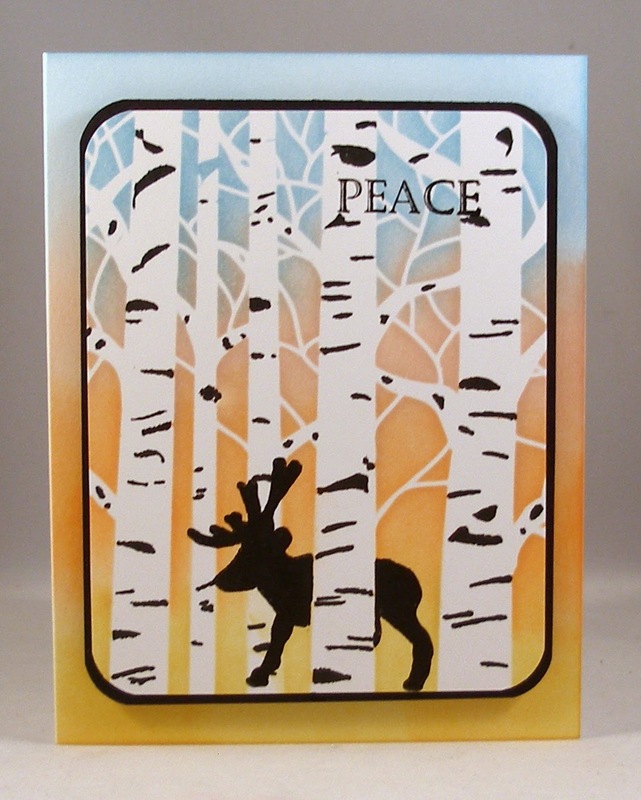 One person will be chosen to receive their choice of one of the "Favorite" Stamp Sets we have featured. commenting is 10 PM EST on Friday January 30, 2014. 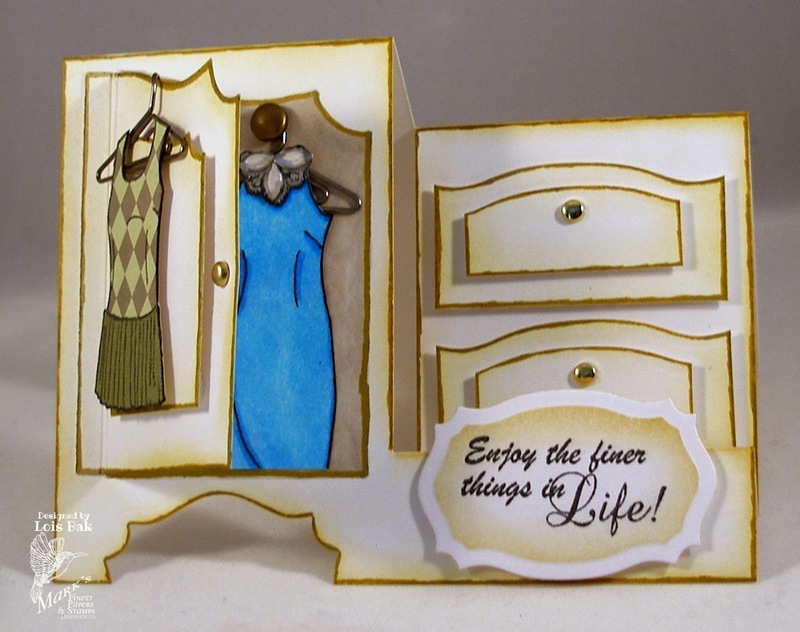 While the paper doll sets were not necessarily my favorite stamps last year, this project that I made for the Paper Doll sets is my favorite project for 2014. 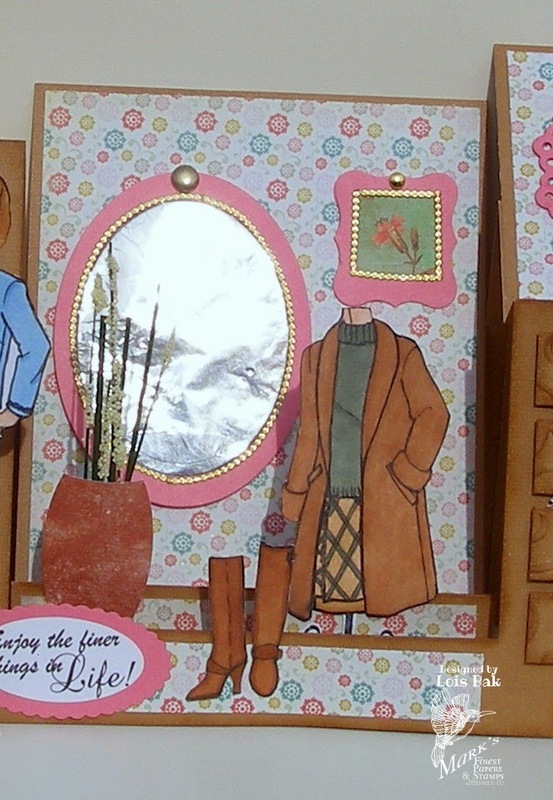 I combined all three of the original paper doll sets to create this dressing room. Here are close-ups of the various parts of the dressing room. 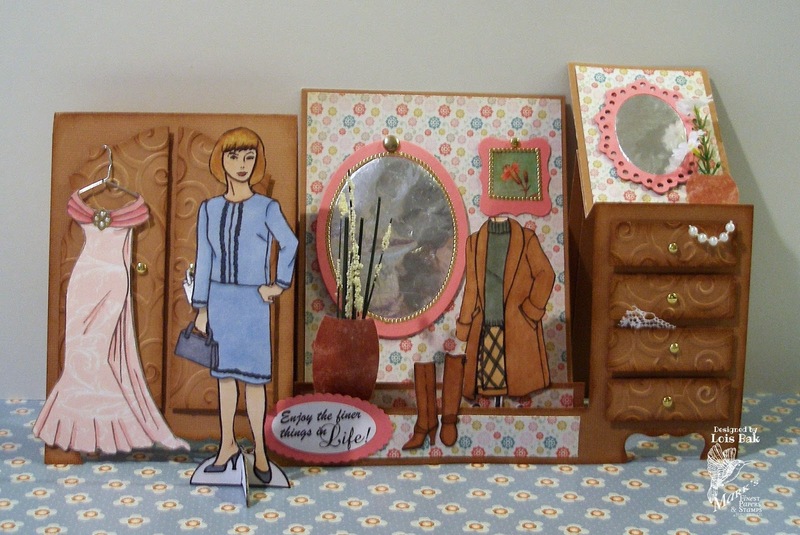 Another smaller project using the Paper Doll sets is this “armoire card” that I made for a Tutorial Team challenge. 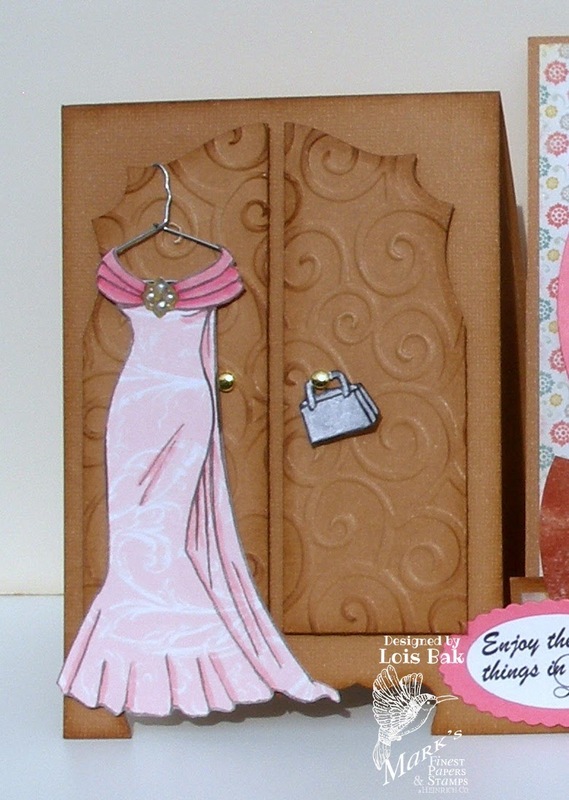 Again I made a new card with the Paper Doll and the coordinating set, Paper Doll Formal Wear. I hope we have touched on some of your favorite MFP stamps during this month's blog hop. 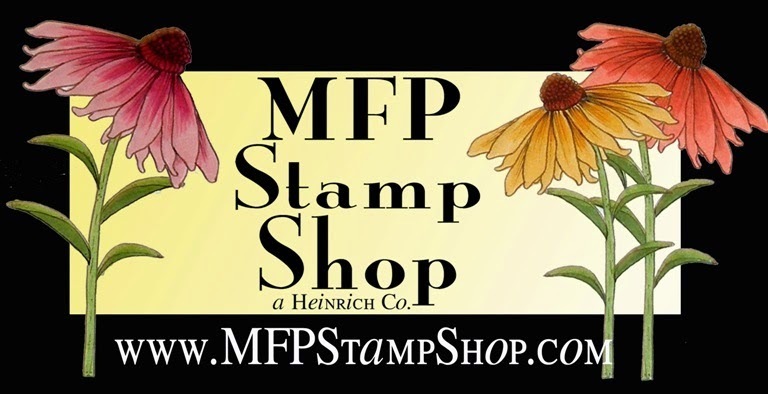 Be sure to comment often for your chance to win a free stamp set. Anyone who is familiar with my cards knows that my favorite stamps are flowers and also knows that I like fun fold techniques. 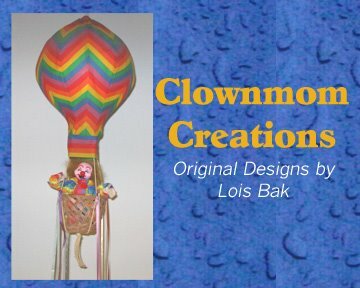 I combined those things in several projects made with the set Coneflowers. 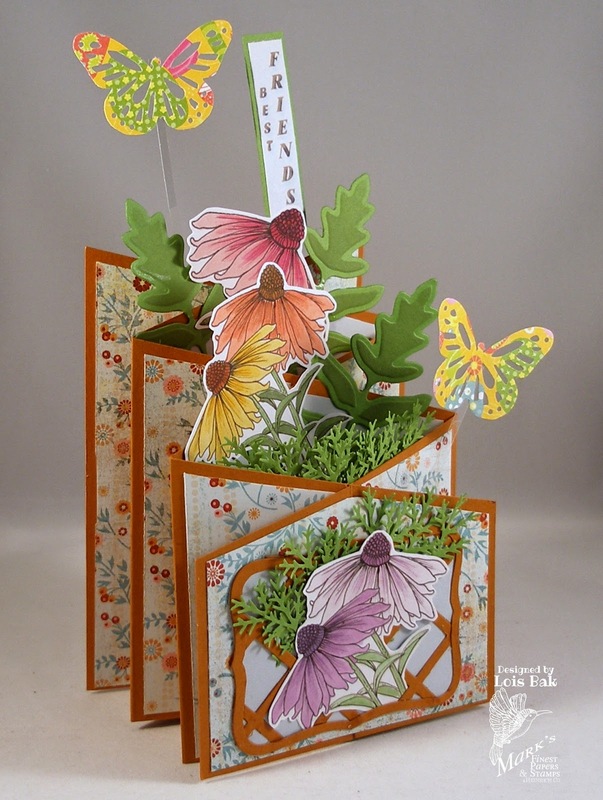 One of my blog hop cards in July was this cascading card. My daughter-in –law’s birthday was in July, and I used Coneflowers for this “bouquet in a box.” I'm pleased that she still has it sitting on her kitchen window. I thought I should make a new card with this beautiful set, so I made one using a favorite technique (Triple Stamping). 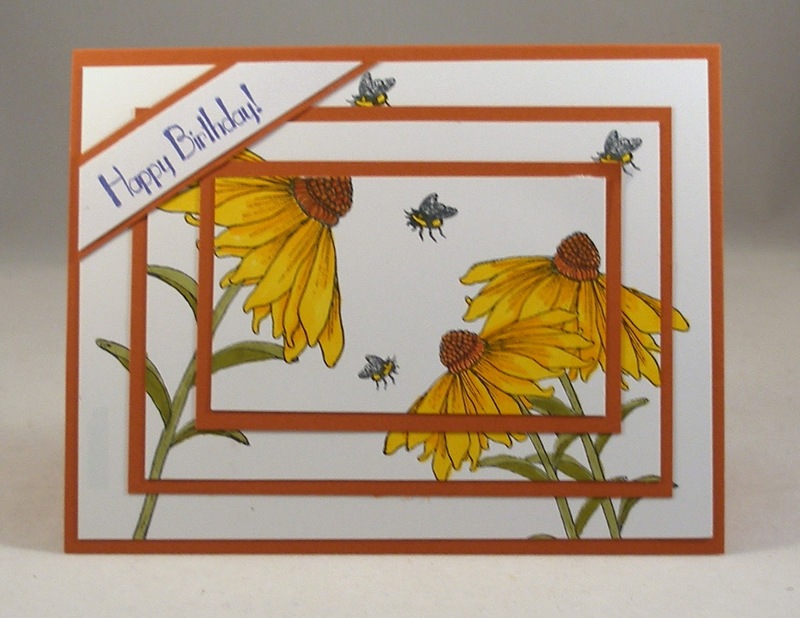 The bees and sentiment are from another MFP Stamp Shop set, Bring on the Sun. 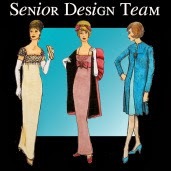 Be sure to visit the rest of the participating members of the Design Team and comment for a chance to win a free stamp set. Come on back tomorrow for more FAVORITES!! 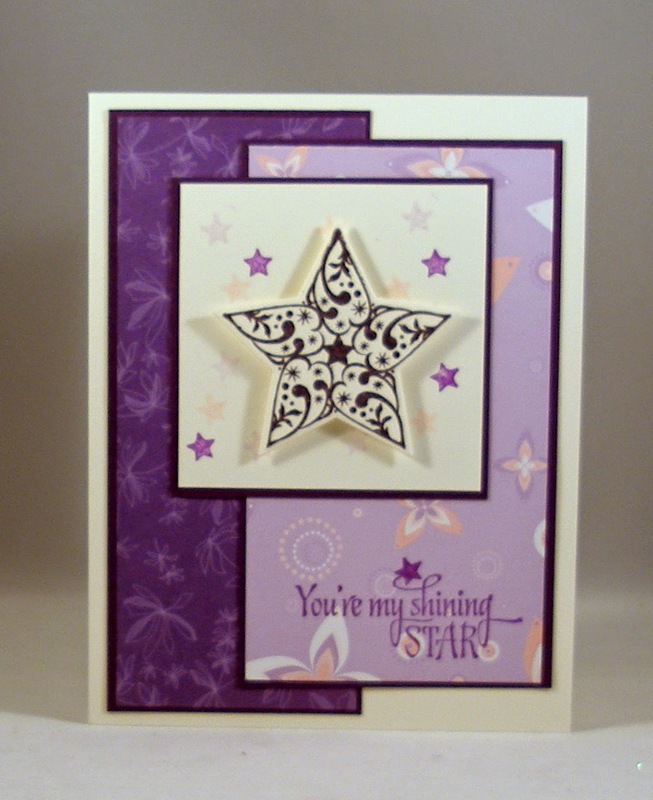 For her last challenge this month, Vicky asked the CCEE Stampers to use a technique I haven't used in several years. It's one a new stamper learns and finds fascinating -- bleached out images. 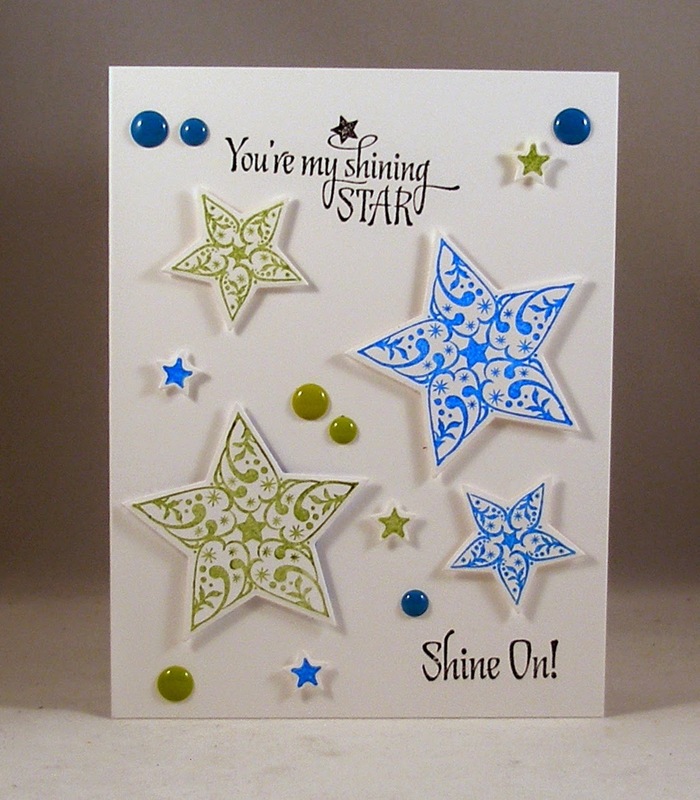 Here's a link to Splitcoaststampers tutorial. After I bleached out the image, I colored the leaves and added just a touch of pale orange to the base of the flower petals. 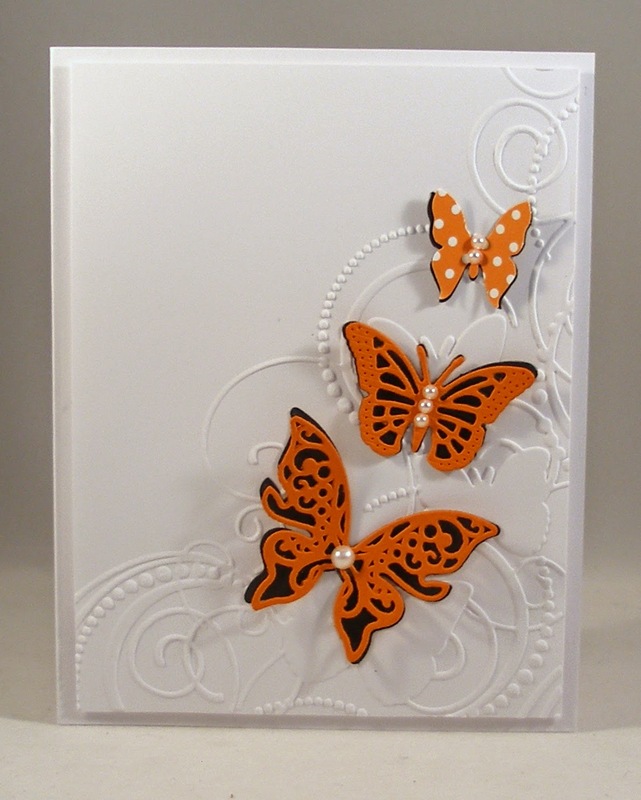 Stop over at the CCEE Stampers blog and see how the rest of the team used bleach on their cards. The Free4All challenge on Splitcoaststampers and the challenge on Our Daily Bread Designs blog were both Inspiration Challenges this week -- and both used the color pink -- so I combined them for my card today. I had a small piece of this pretty designer paper, which has a couple of shades of pink on it. 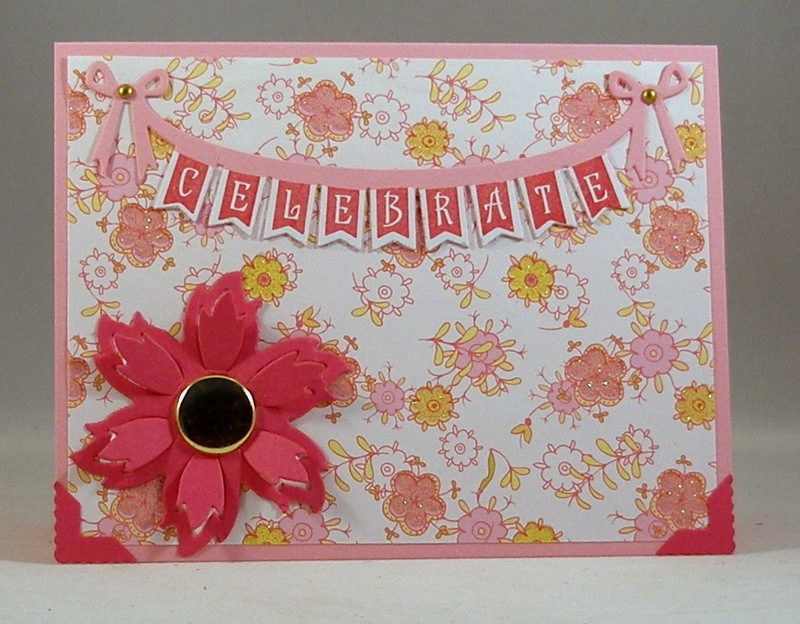 So I was able to use two different shades of pink for my card base and embellishments. I used the word "Celebrate" on the pennant swag and figured I could put the appropriate sentiment on the inside when the occasion arises. 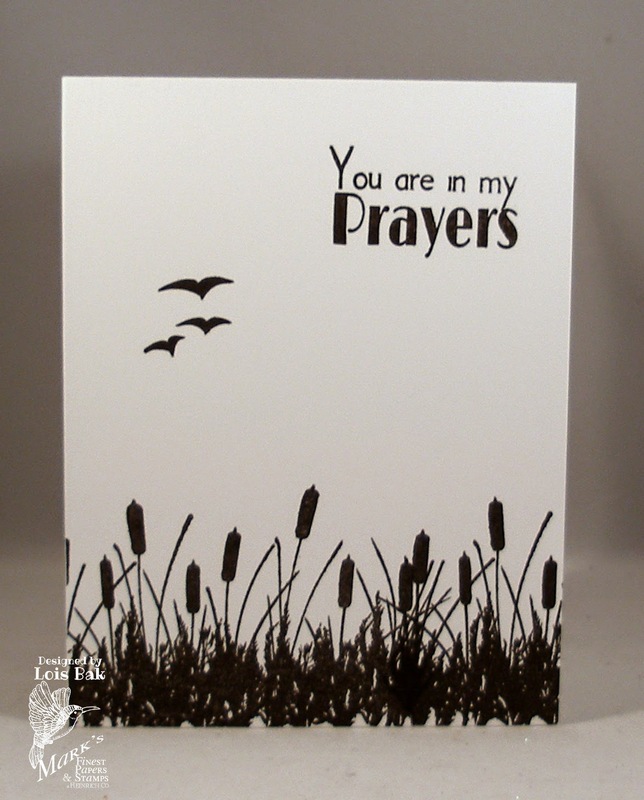 Silhouette images are some of my favorites, and that's what Vicky asked the CCEE Stampers to use this week. I decided to make a masculine birthday card this week because I can always use a spare one in my stash. Pull out those silhouette stamps because we'd love for you to play along with us. 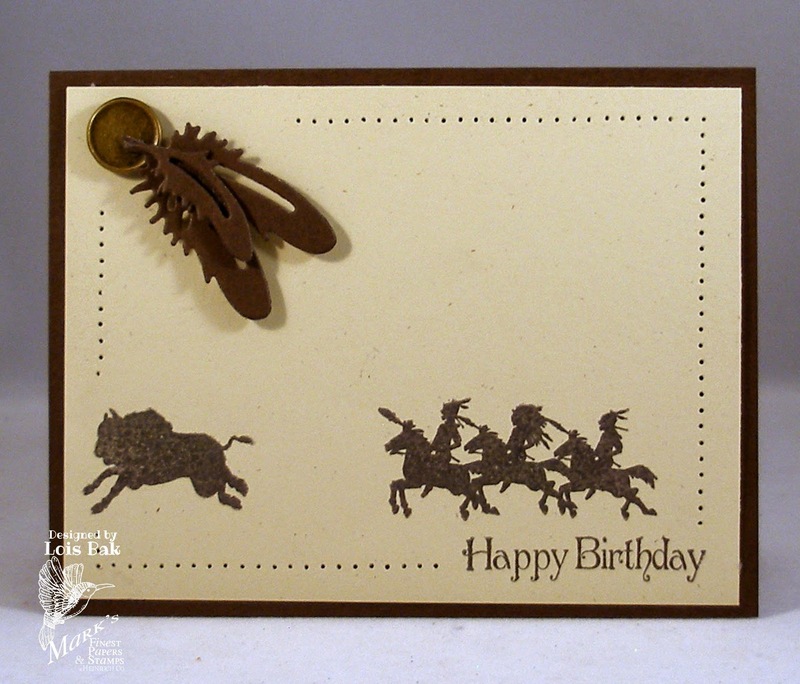 Go over to the CCEE Stampers blog, see what the rest of the team has created, and link up your card. 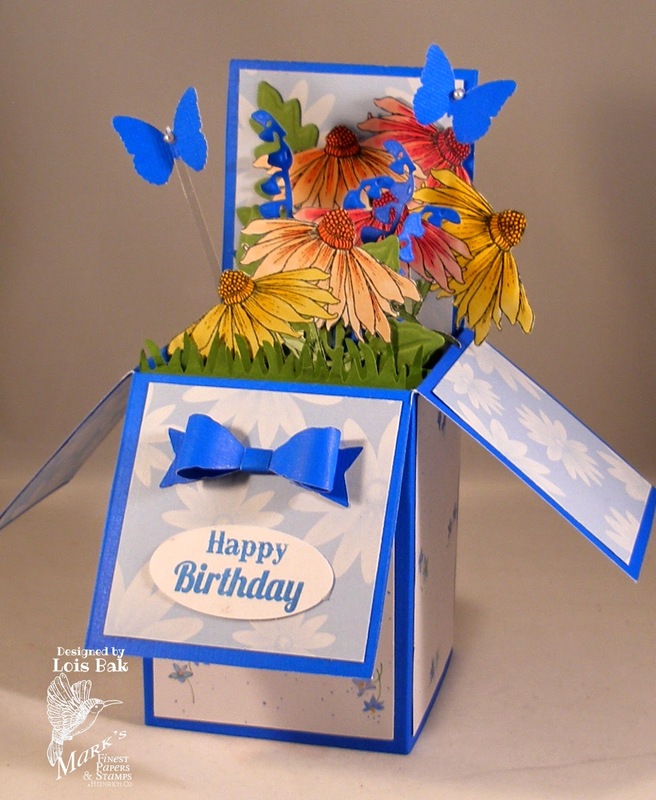 If you'd like to see how I put this together, pop over to the CardMaker blog. Today's Technique Lovers Challenge over on Splitcoaststampers is a favorite of mine -- Triple Stamping. I pulled out one of my butterfly stamps for this one. 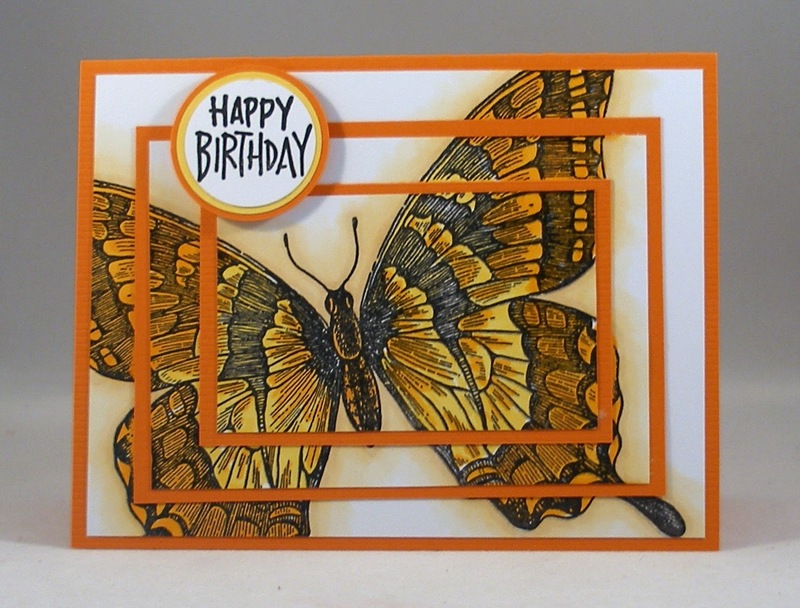 I usually use a slightly smaller image for this particular technique, but I saw a card using this Stampin' Up butterfly the other day and decided to use it here. After stamping the butterfly over the three layers of white cardstock with Versafine Onxy Black ink, I clear embossed it and then colored it with three different Copic markers (Y06, YR09, YR27). I added the shadow behind the butterfly using three other markers (E50, E51, E53). Then I put the orange mat behind the two top layers and attached the whole panel to the card base, popping up the sentiment with a foam pop dot. I recently bought a set of four Spellbinders butterflies call Les Papillions Two, called that because it actually makes just two butterflies because two of the dies are shadows which you place behind the more intricate one. The larger butterfly on my card was made with that set. The middle one actually was a bit harder to make. I cut the orange one out first. When I cut the black "shadow" one, I had to be careful when I took the cardstock out of the die because I didn't want to lose the little pieces. Then I just put some Scotch tape behind the butterfly to keep the small pieces in place. The top smallest butterfly was made with a punch. 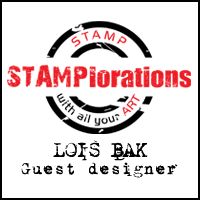 Vicky gave the CCEE Stampers a technique challenge this week -- Stamp Etching. You can find the Splitcoaststampers tutorial here. If you've never tried this technique, give it a try. It's pretty easy and gives a wonderful outcome. I think I've only done this once before, and it may have been with the same MFP Stamp Shop image. Please stop over at the CCEE Stampers blog and see how the rest of the team used this technique. The current Our Daily Bread Designs challenge is a Color Challenge, using one of my favorite colors PURPLE as well as a pink and a cream. I decided to use the Sketch Challenge on Splitcoaststampers as my layout. I found two different designer papers in my drawer, one of which also had some pink in it. I wanted the pretty star to be the focal point of my card so I cut it out with a die and popped it up on foam pop dots. While it's not very elegant, it is definitely white-on-white. 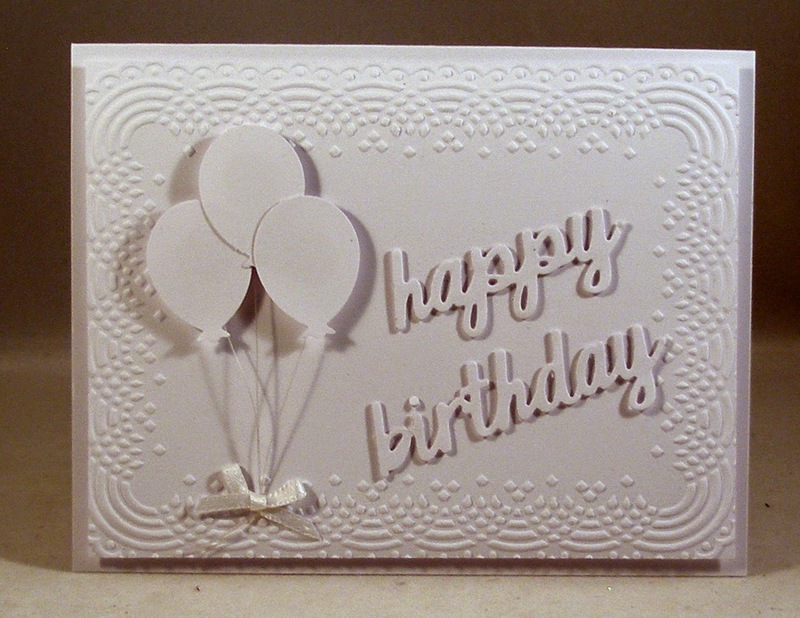 After embossing the bottom panel and popping it onto the card base, I punched out three balloons, added some fishing line for strings, and attached them to the card with big pop dots. I tied the strings together, glued them down with a glue dot, and popped on a little white bow. The birthday sentiment is from a set of Sizzix dies. I cut out the words and popped them on with very small foam dots. Pretty simple! No stamping required! I tried to get some purple into those clouds using a marker, but it really didn't look like it did in my head. I might have to practice that a little bit! Vicky, our CCEE Stampers hostess today said that it is the 20th anniversary of her mom's entrance into heaven and asked us to make a sympathy card we could put in our stash for when we needed one. I made mine very clean and simple. 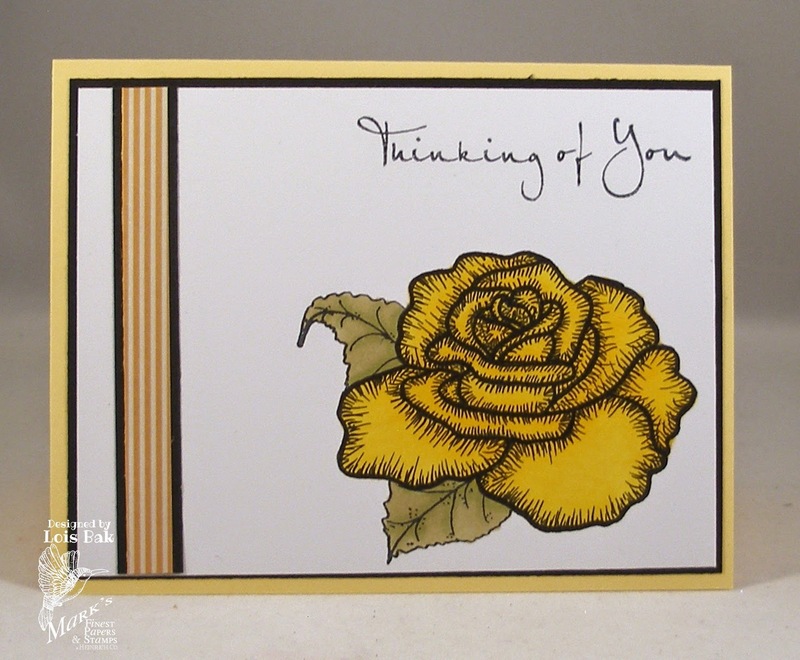 Join the rest of the team over on the CCEE Stampers blog and see how they responded to Vicky's request. I don't often play the Color Challenge over on Splitcoaststampers, but today's colors lent themselves very nicely to a Christmas card. I had wanted to do another Fan Club Christmas Card Challenge card, so I used the CC colors of Blushing Bride, Rich Razzelberry, and Mossy Meadow. Unfortunately, I don't have those exact colors, so I improvised a little bit. 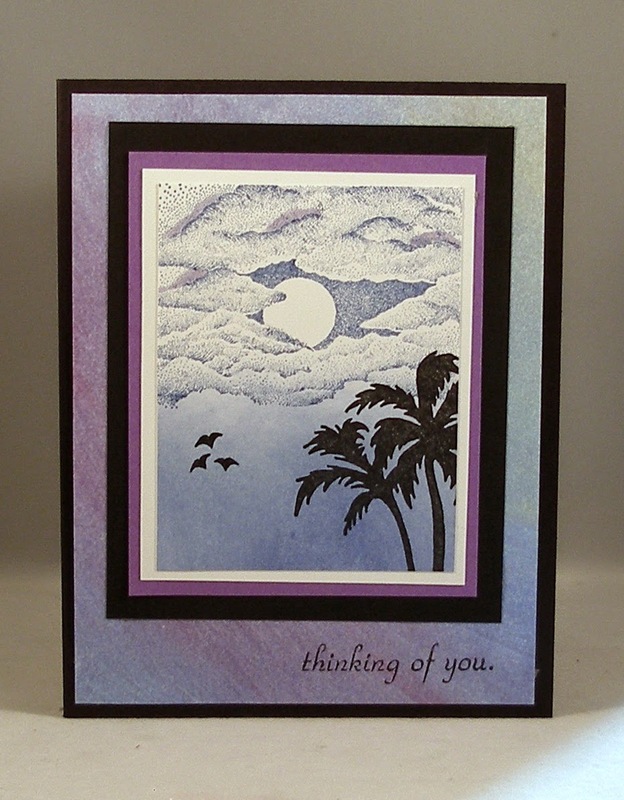 The dessert for the Color Challenge was to use dry embossing on your card. I inked up the holly embossing folder with some green ink before I ran it through my Cuttlebug. 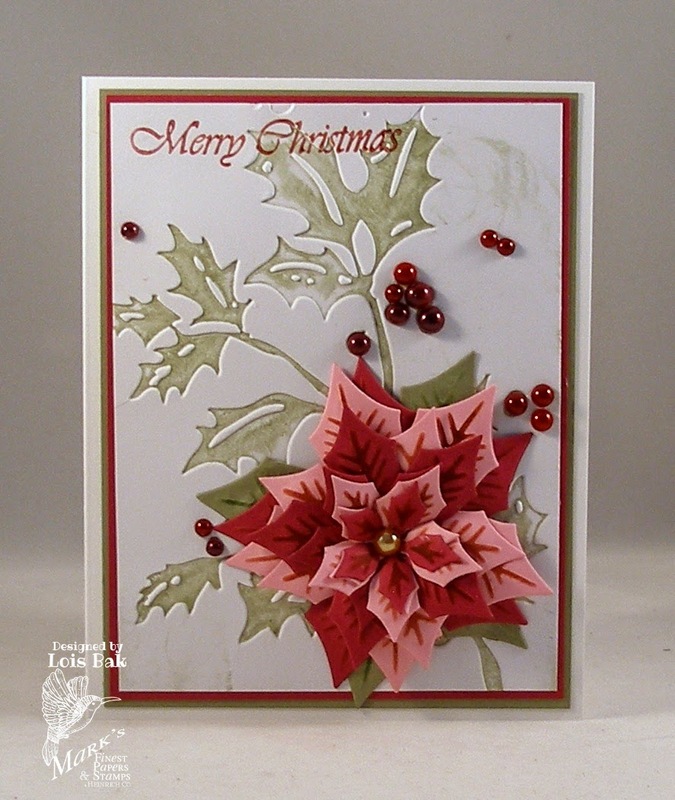 After I put the poinsettia together and glued it to the card front, I added the pearls for the holly berries. I've got some great news to share today. 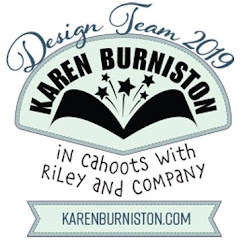 I've been asked to join the Blog Team for CardMaker magazine for the next six months. 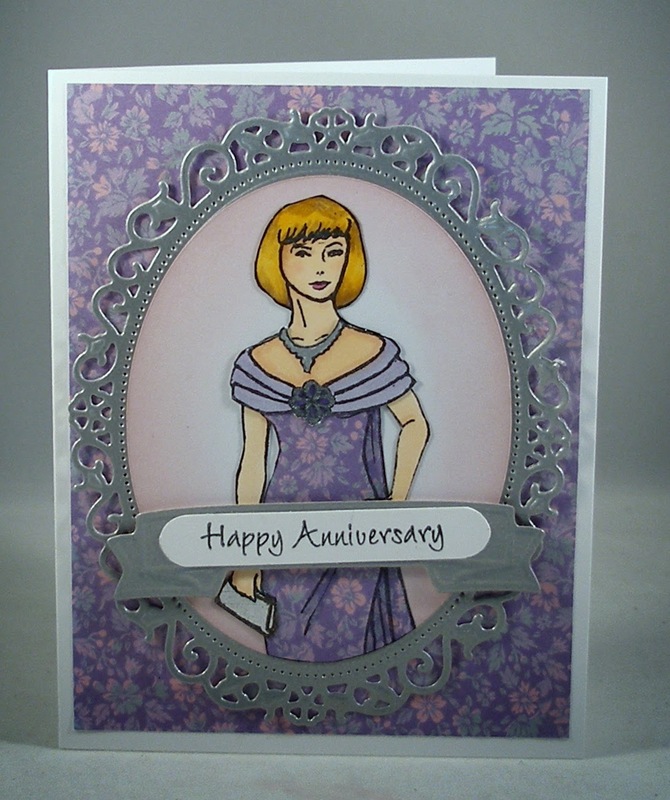 I've looked at CardMaker for many years and on several occasions thought, "Gee, I can do that." So I started to submit cards for publication. It took a while, but I finally was published last year, which was very exciting to say the least. And when they asked me to join their blog team, I was over the moon! If you don't yet follow the blog, you should. You can get it delivered to your e-mail just by signing up here. 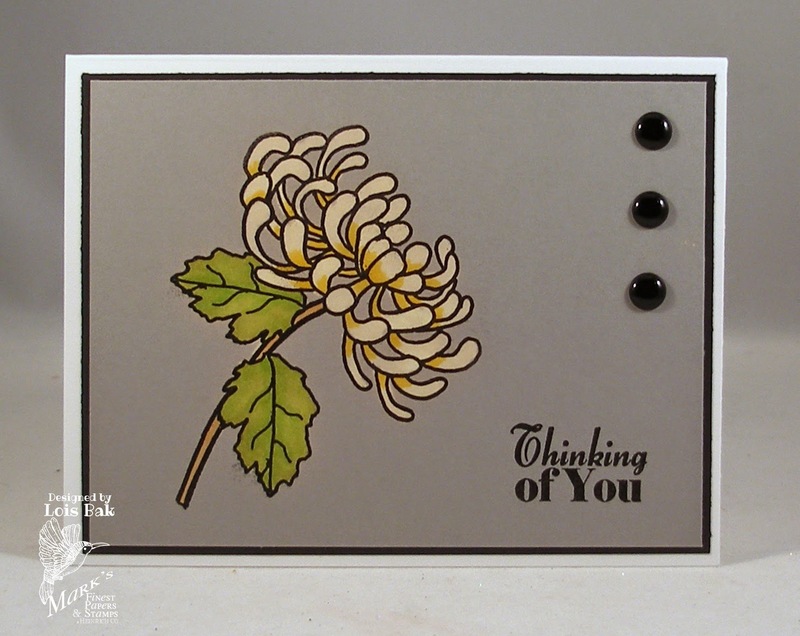 On another note, I thought I'd share a couple of cards I made for challenges over on Splitcoaststampers this weekend. 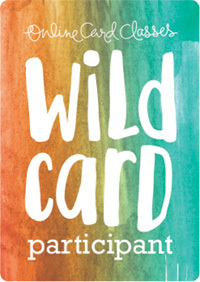 Friday's Free 4 All challenge was a true "free for all." All we had to do was upload a card we were working on at the moment. I was trying to catch up on a couple of other challenges and made this one, using some new stamps that I had just purchased from Our Daily Bread Designs. I love stamps and dies that coordinate with each other, and this is a perfect example of that. 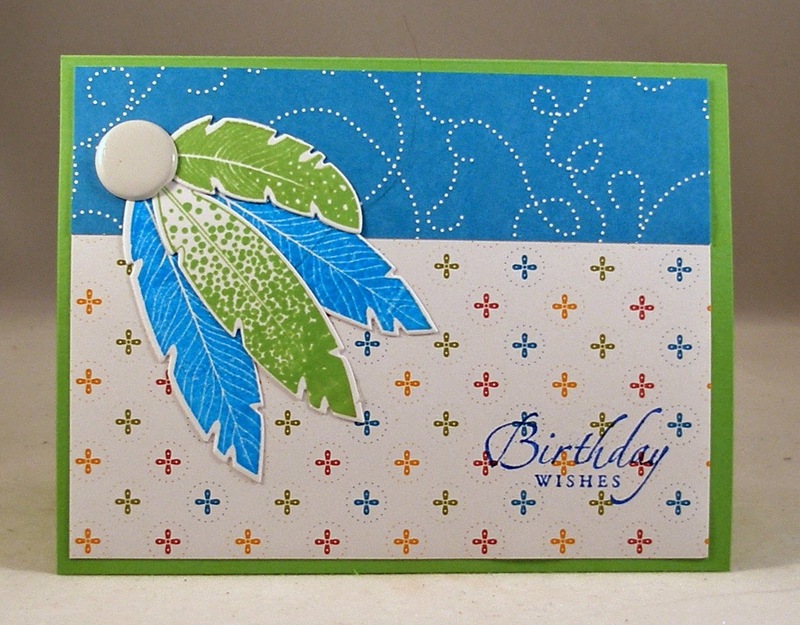 My second card uses my new favorite Stampin' Up set, Four Feathers. This was for the Inspiration Challenge on Saturday. As it turns out, this card also has stamps and dies that coordinate. I didn't realize at the time, but the color palettes of both cards are very similar. Happy New Year! 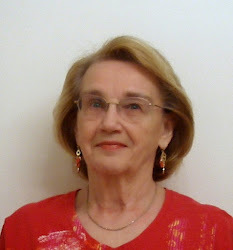 Vicky Gould is starting off 2015 as the hostess of the CCEE Stampers and has asked us to have a bird on our cards today. 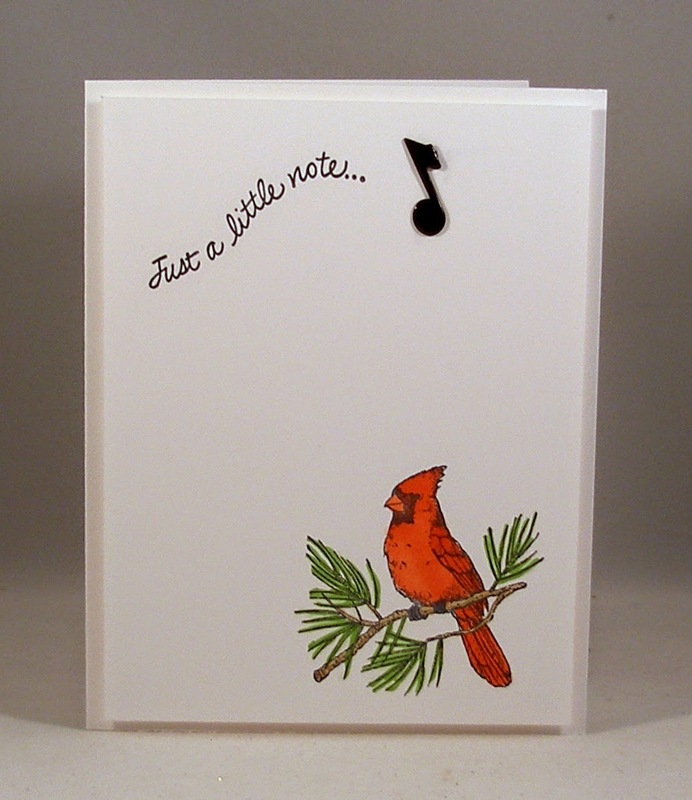 I love cardinal images, so I used one for my simple note card. 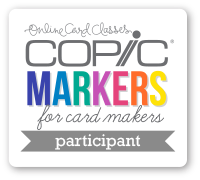 I hope you can join the rest of the CCEE Stampers blog team for some of our challenges in the coming year. Here's what the rest of the team did with Vicky's challenge.